I’ve lived in Michigan my entire life. Sure, I travel quite a bit, but Michigan has always been home. Being a Michigander I can say, without any guilt, that I’ve always consider Michigan’s Upper Peninsula (UP) residents a bit crazy. Not in a bad way, mind you, but just a little loco to live in such a desolate area. Ok, ok, not all of Michigan’s Upper Peninsula is desolate, but, there is a whole lot of acreage without a whole lot of people. To me, that equals a bit of insanity for living there. However, after my recent visit to Marquette I realized why you only have to be a little crazy to fall in love with the UP. During my trip I fell in love with Michigan’s U.P. all over again. It may not be THE place for me to live year round, but it is absolutely wonderful to visit in Summer and Fall. If you are a fan of snow sports than you will LOVE it during that season as well. 1. Surfing: Thought you needed to live near an ocean to learn to surf? Think again. 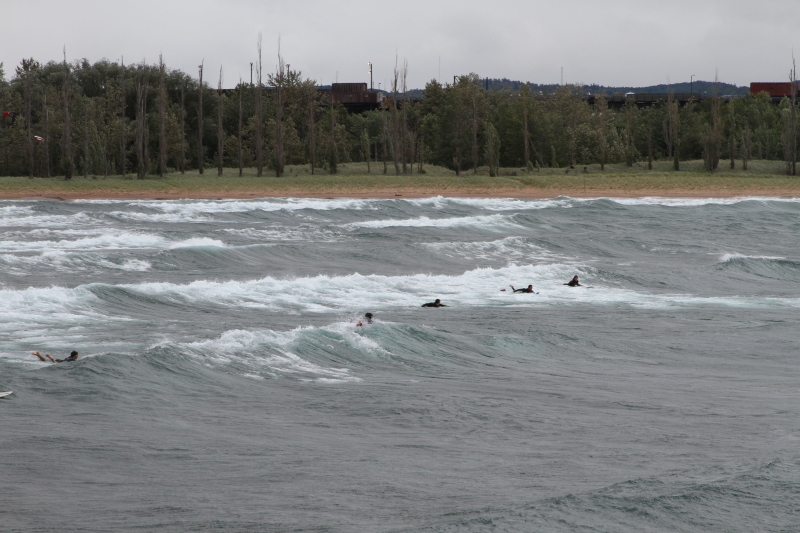 Surfers flock to Michigan’s Lake Superior to catch a wave or two. Note that wet suits are usually required due to Superiors cold, cold waters. Hence, being number one on my crazy list of reasons to visit the U.P. I’ve never been a fan of cold ((shudder)). 2. 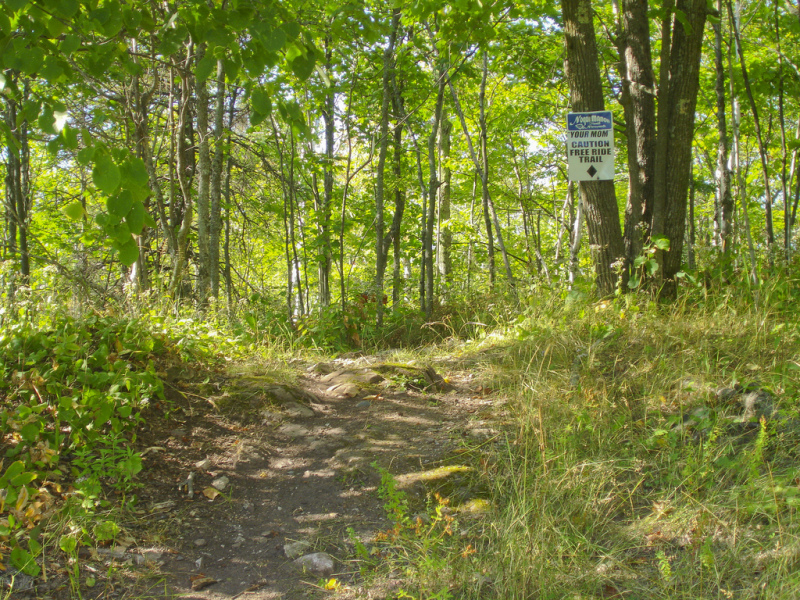 Mountain Biking: Hundreds of miles of off road biking trails await you in Marquette County. The International Mountain Biking Association recently awarded Marquette as a Bronze Level Ride Center which makes it only one of twenty ride centers in the U.S. and only the second location in Michigan (Copper Harbor in the Upper Peninsula is the other designated ride center). 3. 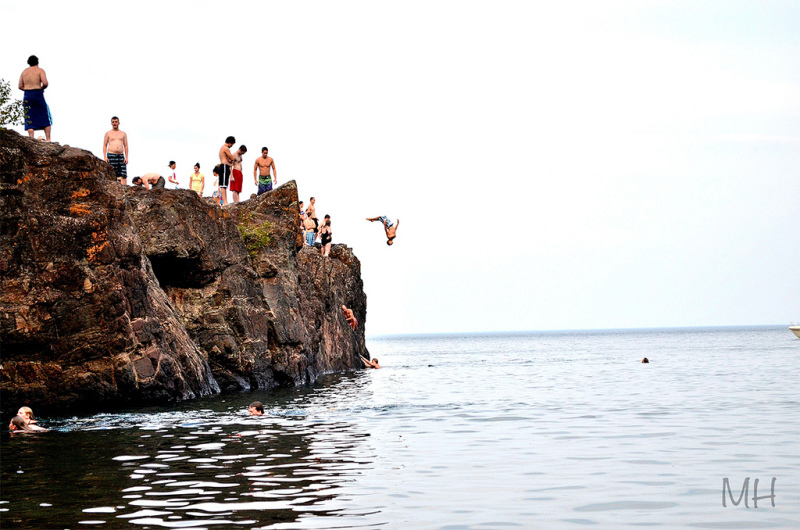 Cliff Jumping: Black Rocks is famous for its cliff jumping opportunities. Not being a fan of heights or cold water cliff jumping is not for me. However, if you’d like a bit of an adrenaline rush cliff jumping from Black Rocks might just be the thing. NOTE: Be advised that cliff jumping can be dangerous. Engage in this activity at your own risk. 4. 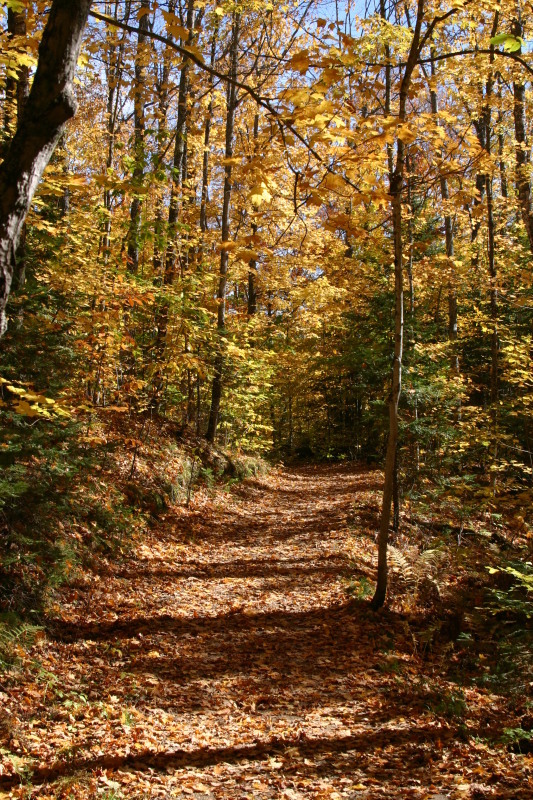 Hiking: There are lots of great trails to hike around Marquette. Two of my favorites include Presque Isle park and Maruqette Mountain. Presque Isle offers lovely walks along Lake Superior’s shore while Mount Marquette provides scenic sweeping views of downtown Marquette and Lake Superior. 5. 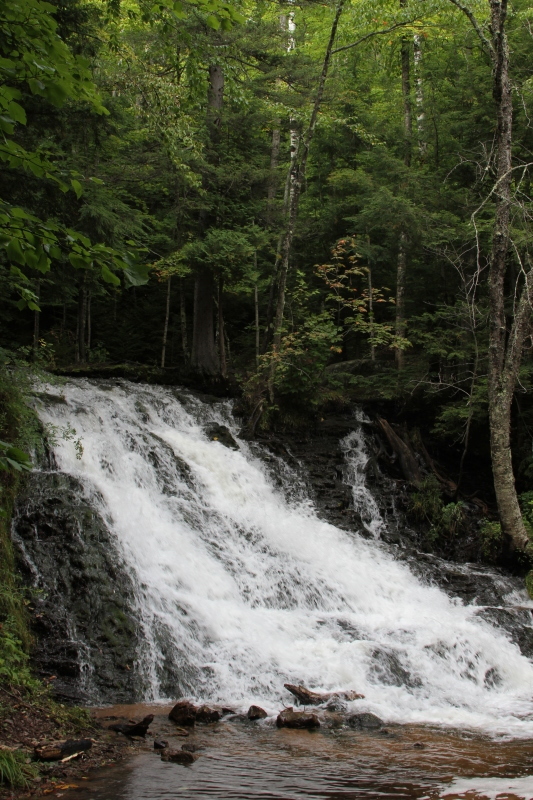 Waterfalls: 70 waterfalls can be found in Marquette County. Some are easy hikes and others are a little more extreme to hike to. The majority of waterfalls are in remote locations and will require a 4×4 or be prepared for a bit of a hike. 6. Swim in Lake Superior: The gorgeous waters of Lake Superior are hard to resist. 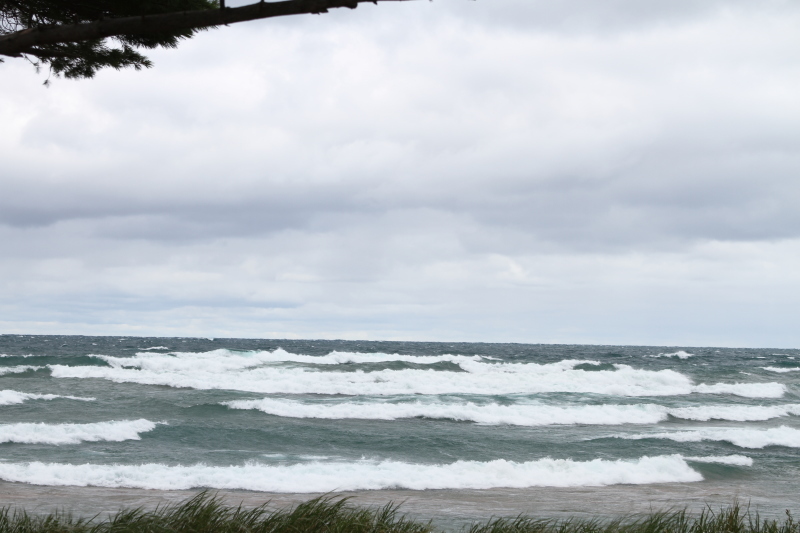 As far as I’m concerned Superior really never warms up enough to swim in, but many others don’t agree with me. A lot of locals and visitors alike swim in the lake without any reservations. The most you’ll find me doing is wading a bit and not for long. 7. 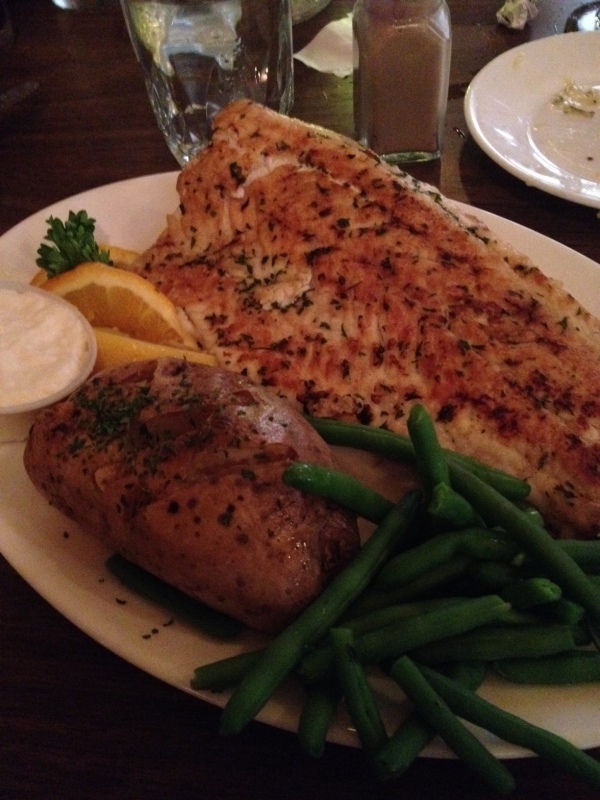 Whitefish: Whitefish is a signature menu item in Marquette. You’ll find it fried, baked, and/or steamed at many restaurants. 8. BEER: Marquette has a few breweries that are producing some excellent brews. 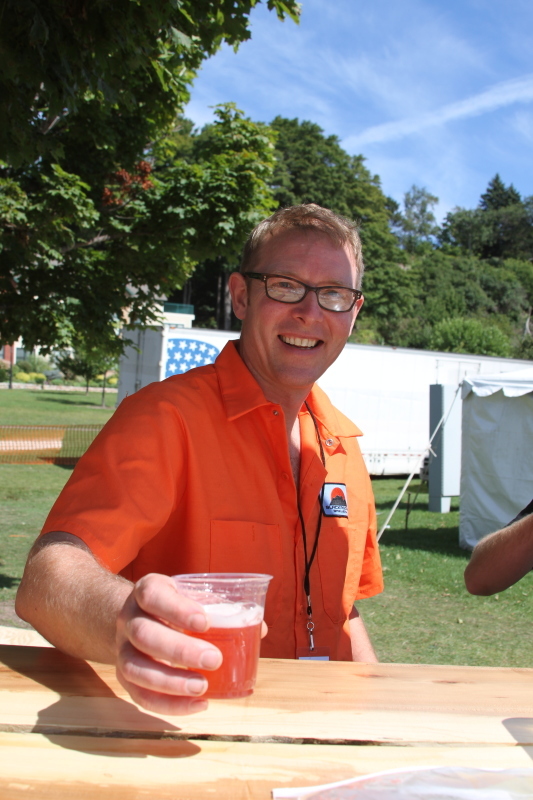 In September Marquette hosts a beer festival that showcase over 65 Michigan breweries. If you attend be sure to make and wear your beer necklace! 9. 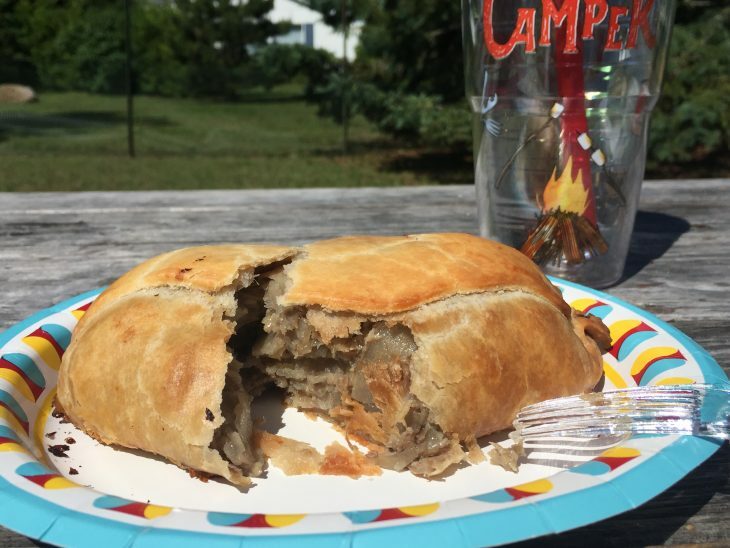 Pasties: This hand held meat pies were brought to Michigan’s Upper Peninsula by the copper and iron miners from Cornwall, England. Pasties typically have root vegetables and beef and are baked to a crispy brown. You’ll be able to find pastys at a lot of restaurants in the area. 10. 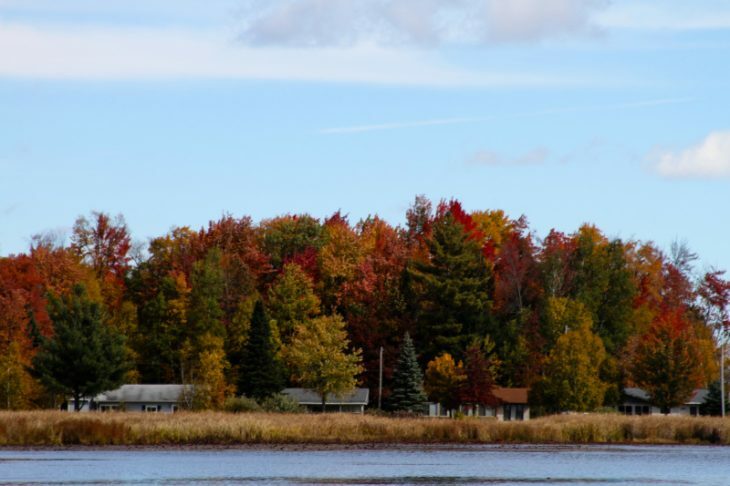 Autumn Colors: September and October finds the U.P. in an explosion of colors. Reds, Oranges, Yellows and more color the landscape. Fall is my favorite time of year to visit for all the amazing colors. All these were so interesting and made me want to visit. I wasn’t too into the jumping off a cliff but to be completely honest as a teen I did do that all the time. My family and I would go back into the mountains to where there were these natural water slides and go down them. Only way to get me to jump from a cliff were those slides because at the end they did just that. lol. Talk about an adrenal rush. You just never know what you’ll find along the Lake Superior shore. #12. Cudighi – enough said! And I think the author is referring to Mount Marquette which is the place to hike for spectacular vistas of the town and Lake Superior–Not Marquette Mountain which is a ski area. Marquette Mountain has similar great views of both, but is generally not a hiking destination. forgivable mistake here. A true Yooper pasty does not have peas and carrots in it. The picture you have on this website does not look like a pasty. 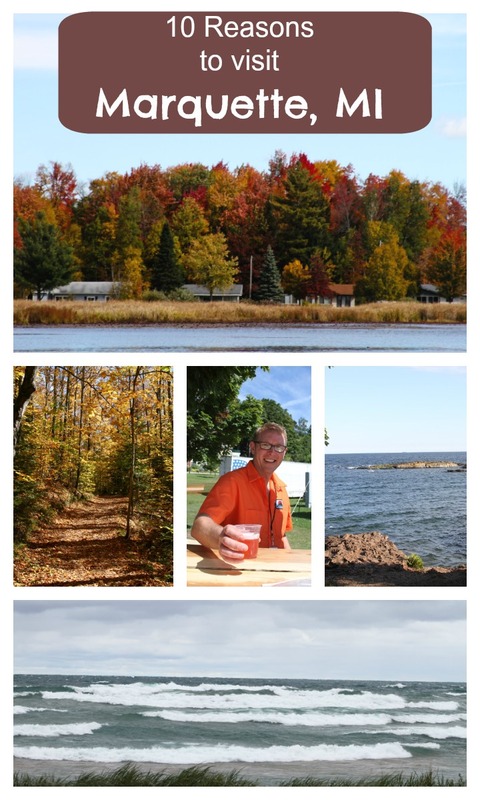 We lived in Marquette for 8 years. Dave Manson (of Black Rocks Brewery) is a friend. -The U.P. 200 Sled dog race- an internationally famous race that is a qualifier for the Iditarod. -Kayaking Lake Superior and Hundreds of other lakes and Rivers. – Deer, Bear, and Grouse hunting. We miss it every day. As an annual visitor to Marquette I agree with your list but I think you could add coffee shops such as Babycakes. I’d also add Snowbound Bookstore. Love your pictures. The Villa Capri – one of a kind family owned Italian restaurant ! The garlic bread – oh my. Togo’s original sub sandwich. I’ll take a #4! Sharon Gagnon While a “Cornish” pasty does not have carrot..U.P. Finns added carrot as it was easier to get than rutabaga..Yet ,I never saw a pea in a pasty. Vango’s! Those waffle fries and ranch dip are the BEST! Third Street Bagels is great, too! Da UP will always me God’s country to me! I agree on other attractions mentioned besides what seems to be almost all outdoor activities on this list. The areas one may consider “desolate” are those that this annual visitor feels are quiet, untouched by urban sprawl, full of wildlife, and quiet 😉 Third Street Bagel and the Peter White library are my fave places to people watch. I’m fixing the name of the mountain. Thanks for pointing that out. Hi Lee, I just had Cudighi for the first time during my visit to Marquette. LOVE IT! I tried finding a photo close enough to a pasty to give readers that are unfamiliar with this delicious U.P. food an idea of what it looks like. Sadly, I neglected to take a photo of one before I dug in. I’ll have to make some this winter and replace the photo with one of my own. Until then I’ll make a note under the photo about the peas. So many great ideas!!! Thanks for sharing. Sugarloaf is the mountain you guys are thinking of for climbing and spectacular unrivaled views. A must if you visit. Marquette Mountain is for skiing folk. I think there are now 11 runs, including sveeral dedicated to snowboarding. We get plenty of snow, but they don’t leave anything to chance and make snow pretty much every night for that fresh powder every morning. Got tired of visiting the UP and Marquette, so in ’97 we retired up here from dOwnstate. Best move we evere made. No better place to retire. Amazing area. If you are a true Michigander, you can’t live without the change of seasons and this is the best place to experience that! All that heaven has to offer . . . Right here in the UP!